Vice is getting what it has been seeking for years: A cable channel to call its own. A&E's relatively obscure H2 channel will become Viceland in February, reaching about 70 million homes, the partners of the venture announced Tuesday. It is a high-stakes bet that Vice can attract young people to a brand-new cable channel at a time when more and more video is being consumed online and on demand. Vice will choose the shows for the channel — which could end up having a different name — and take the lead on marketing. A&E Networks will handle distribution and collaborate with Vice on advertising sales. The ad piece is key. The partners said Viceland "plans to work with brand partners to re-imagine the nature of the television commercial." This means some ads will be integrated into shows rather than being interruptive. Advertiser partnerships are a hallmark of Vice, which began as a magazine and has become an all-encompassing youth media brand. Several major media companies have invested in Vice, including A&E, which is jointly owned by Disney and Hearst. A&E initially took a 10% stake in Vice last year and talked about plans for a cable channel, but negotiations took a long time. Eventually the partners settled on H2 as the channel that would be transformed. With Tuesday's announcement, A&E is increasing its stake in Vice. A&E will also retain majority ownership of the channel. H2 is a spinoff of The History Channel without many distinguishing shows or features, which makes it vulnerable because distributors are looking to drop low-rated, low-visibility channels. A&E executives believe Viceland will stand out and attract a bigger audience. But Vice is sure to run into the same challenges that other rebooted channels, like Oprah Winfrey's OWN, have faced in recent years: Stiff competition and a lack of awareness that it exists on cable. To counter this, Vice says it has a number of boldface names lined up for prime time shows, some of which have been in development for over a year already. The stars include Ellen Page, Eddie Huang and Zach Goldbaum. Vice's creative director Spike Jonze is in charge of developing the channel. Vice has a separate deal for daily news coverage with HBO. And it has TV channels in the works in other countries, as well. 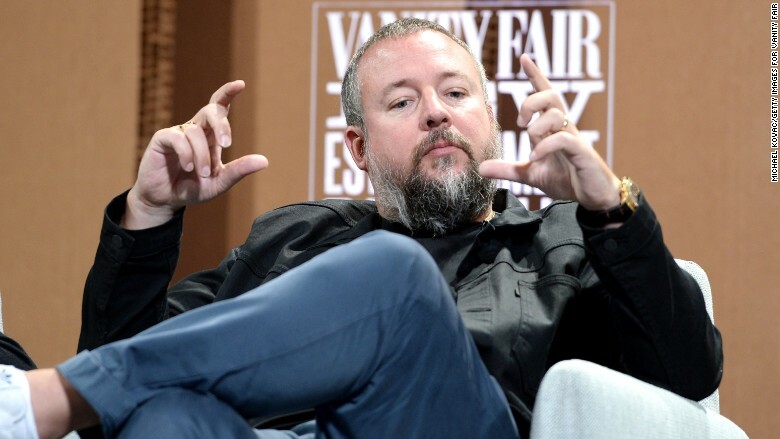 "This network is the next step in the evolution of our brand and the first step in our global roll-out of networks around the world," Vice CEO Shane Smith said in a statement.